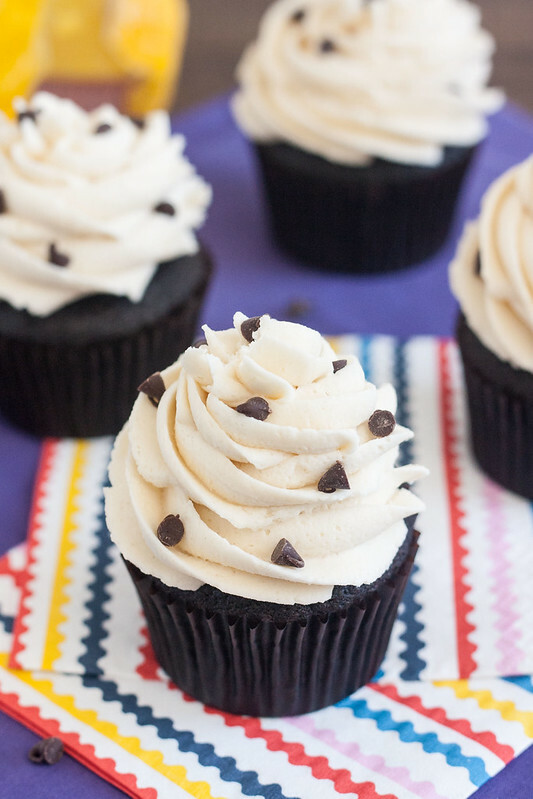 Cookie Dough-Stuffed Dark Chocolate Cupcakes and a Giveaway! 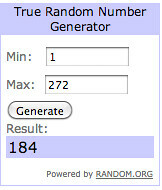 Update: The winner is commenter #184 – Carrie H! Her favorite cookbook is from the national chicken cooking competition in 1967, in which her grandmother represented the state of Indiana. How cool is that?! Congrats Carrie! You should have an email from me, please reply with your mailing address so I can get your prize off to you. Can we talk about cookbooks today? They make me so happy; there’s almost nothing I love more than sitting on the couch with a brand new cookbook, flipping through its pages, and exploring all of the recipes. As much as I’ve come to love reading books on my Nook, I can’t imagine ever giving up actual print copies of cookbooks – it just wouldn’t give me the same satisfaction to read them electronically! I have a lot of cookbooks, too many in fact – I ran out of places to store them years ago! Some sit on the shelves gathering dust, but many are in regular rotation here. The biggest thing that makes a cookbook a favorite for me is recipes that are reliable. I know that probably sounds dumb, but I’ve discovered that not all cookbooks are created equal. The cookbooks that consistently deliver good results are the ones I find myself reaching for over and over again! Ok, now on to the giveaway! Leave a comment on this post answering the question: What’s your favorite cookbook, the one you find yourself reaching for over and over again? You can receive one optional bonus entry by following me on Pinterest. You must leave a separate comment indicating you’ve done so. If you already follow, that counts too, just leave a comment letting me know. Comments on this giveaway will close on Thursday, April 11, 2013 at 11:59 pm EST. A winner will be chosen using random.org and announced on this post. Please be sure to leave a valid email address so I can contact you. Prize must be claimed by the winner within 48 hours or an alternate winner will be selected. This giveaway is open to U.S. residents only. Good luck! Disclaimer: I was not asked to review either of these cookbooks, and no one has compensated me to do so. I simply love them and want to share with you guys! This giveaway is sponsored by Tracey’s Culinary Adventures. 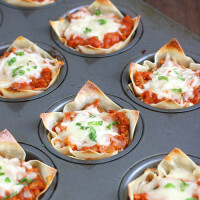 Preheat oven to 350 F. Line a muffin pan with paper liners. Sift the flour and cocoa powder together into a large bowl (I almost never sift, but find it’s the best way to deal with lumps in cocoa powder). Add the granulated sugar, brown sugar, baking soda, baking powder, and salt and whisk to combine. Add the milk, oil, vanilla and both eggs to the dry ingredients and whisk just until all of the ingredients are evenly incorporated. Divide the batter evenly among the wells of the prepared pan, filling each about 2/3-full. Bake the cupcakes for about 20 minutes, or until they spring back when lightly pressed with your finger and a toothpick inserted in the center comes out clean. Transfer the pan to a wire rack and let the cupcakes cool for a few minutes, then remove them to the rack to cool completely. To make the frosting: In the bowl of a stand mixer fitted with the paddle attachment, beat the butter on medium speed until light and fluffy, about 2 minutes. Gradually add the confectioners’ sugar to the bowl, about 1/2 cup at a time, and continue beating until the mixture is smooth. Add the cookie dough mixture (the 1 cup you reserved before adding the chocolate chips) to the frosting and beat until the mixture is smooth and fluffy, about 3 minutes. To assemble the cupcakes: Use a small paring knife to cut a cone-shaped piece from the center of each cupcake. Fill the hole with some of the cookie dough mixture, then replace the top portion of the cone (you’ll need to slice off the tip). Transfer the cookie dough frosting to a pastry bag fitted with a tip. Pipe frosting into a swirl on each cupcake. Garnish with additional mini chocolate chips, if desired. 274 Responses to "Cookie Dough-Stuffed Dark Chocolate Cupcakes and a Giveaway!" These cupcakes have my name written all over them. Gorgeous! I follow you on Pinterest. I LOVE reading cookbooks also…and food magazines. It’s hard to pick a favorite….but one that I definitely like looking through is Taste of Home Winning Recipes – it has 645 recipes with pictures of everything. I almost never make a recipe if I don’t see a picture of it first. Thanks for a fun giveaway!! Hi Tracey! I don’t currently have a favorite cookbook- I mostly rely on my wonderful food bloggers for recipe ideas- but I think that either of these could easily become favorites in my small growing collection of cookbooks! My favourite cookbook is the Hummingbird Bakery’s book. 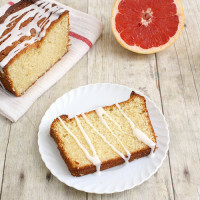 Pictures of every recipe and the best sponge cake recipe I’ve ever made! And I followed you on Pinterest! I really like the Flour cookbook. I have made a lot of items from it and only one or two didn’t turn out as I wanted them to. Everything else I have made from this cookbook has exceeded my expectations. You and your chocolate!! lol Mark would love these. My favorite cookbook(s) are my Donna Hay ones at the moment. I love her cooking style, all fresh, lower fat and calories by making the most of flavors, and there is a photo of every recipe in the book!! Simplicity and flare go together in all her recipes. I’m a fan. Obviously. I already follow you on Pinterest. I have quite a collection of cookbooks that I tend to rotate depending on my mood and of course my appetite. But… I think my go to cookbook is my 1954 Good Housekeeping Cookbook! I inherited it and it is quite used and abused but always gets the job done!! I’ve made these cupcakes before, and they are phenomenal! My favorite cookbook is The Perfect Scoop by David Lebovitz. The man knows his ice cream! I want these! Not are are dark chocolate cupcakes the best, you had to go and stuff them with cookie dough! This is crazy! Lately my go-to cookbooks have been Ready for Dessert by David Lebovitz and also Baked Elements. There are so many tasty looking recipes in both! I find that I constantly reach for The Complete America’s Test Kitchen TV Show Cookbook. It is a wealth of information & produces fool-proof recipes. The cookbook I reach for over and over again you can’t find in stores. It was a cookbook that the family put together when my sister got married. It’s PACKED full of family recipes for all seasons and reasons. I grew up with my mom cooking out of the 1992 edition of the Betty Crocker cookbook. When I went off to college nearly 15 years later, my mom found the same edition and gave it to me. One of my faves, for a number of reasons of course! I can’t put the Smitten Kitchen Cookbook down lately. I keep finding more and more recipes I want to make from it. I too have a lot of cookbooks but find myself reaching for the same ones over and over again. The cookbook I find myself using lately is Sarabeth’s Bakery: From My Hands to Yours. So far, everything has turned out great and tasted even better! My go-to source for cookbookery – anything by America’s Test Kitchen. I can’t get enough. I actually have both of those cookbooks but I fail to open then very often, just like every other cookbook I own. I keep saying I need to get better at cooking from my cookbooks. I was hoping Kita’s Pass the Cookbook club would give me the kick in the pants I needed but it hasn’t worn me down yet. I too am running out of room to store them all so I really need to use them, they are awesome after all! While I love following many food blogs and have tons of cookbooks, I will have to say my favorite is my family cookbook. My grandmother was an amazing cook growing up, and her four daughters created a cookbook with all of my grandmother’s recipes and some of their favorites. I also followed you on Pinterest! The America’s Test Kitchen Family Cookbook is absolutely my go-to. And, I love that it is a binder format so pages stay open and I can easily remove a recipe for transport, copy, etc.! I find myself reaching for Heidi Swanson’s Super Natural cookbook. I grab it at least once a week. Love it. There are several cookbooks I reach for. Baked Elements, The Art & Soul of Baking by Cindy Mushet, and The Cupcake Diaries are a few. I never have enough cookbooks! Your cupcakes look amazing! My favorite cookbooks are the Seattle Junior League cookbooks, Taste the Rain and Simply Classic. They have so many amazing recipes that use local ingredients. I love my Cooks Illustrated The New Best Recipes cookbook. That’s the one that I check most often, but I have many cookbooks that I love. Fannie Farmer! A timeless classic. Following on Pinterest as well. My favorite go to cookbook right now is Martha Stewart’s cupcake recipe book! My favorite cookbook…hmmm…I’d say the Gourmet cookbook because it has the standards and some interesting recipes in the same book. I’m a little embarrassed to say an old edition of a Better Homes & Gardens cookbook…good for basic recipes, measurements & substituions though. I think it’s Dorie Greenspan’s Baking: From My Home to Yours. Those cupcakes look so good! I also follow you on Pinterest. I feel like BOTH of these cookbooks were made with me in mind! My favorite cookbook right now is Bake it in a Cupcake. I’m obsessed with cupcakes! My favourite cookbook (did the spelling of ‘favourite’ give it away?) is Canadian Living Family Favourites. It’s full of pictures (check!) and I have/would make 75% of the recipes in it (double check!). I love the Joy of Cooking cookbook! Heidi Swanson’s Super Natural Everyday! It is hard to pick just one cookbook. I do use my small library of ATK cookbooks/annuals more than anything else. I love cookbooks and my new favorite is the Picky Palate Cookbook by Jenny Flake. Lots of pictures! I follow you on Pinterest! It’s a great place to find recipes. I don’t have too many physical cookbooks. The one I use the most isn’t even a real one. My mom and her friend compiled all their favorite recipes into a three-ring binder. I use this for 80% of my meals. 2002 Taste of Home Annual Recipes. So many favorites in that book – I make something from that cookbook at least once a week. This is such a fun giveaway! My current go to cookbook is Pure Vanilla but I love cookbooks! I can sit and read them like novels. And those cupcakes! LOVE! The Betty Crocker cookbook that belonged to my mom. I love it because it reminds me of my childhood and it has her notes all over it. I do follow you on pinterest as well. Mark Bittman’s How to Cook Everything is very useful, but it does lack pictures. I also love collecting cookbooks! My favorite one would be my Paula Deen cookbook. It is her very first one that she self published. They are very hard to come by now though. I love all my cookbooks though! Thanks for this great opportunity! I also already followed you on Pinterest! 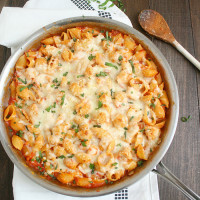 Lately I’ve been using The Pioneer Woman cookbook’s (both). We have a cookbook published by our town Betterment Committee almost 40 years ago. It’s in its third or fourth printing but I use it constantly. Old-fashioned recipes requiring elbow grease are okay with me. I love making breakfast for dinner. My son regularly asks for it since even some of our weekends can get hectic. I’m also a chocolate lover and am happy to have passed that on to my daughter. I’m not a follower on Pinterest for anyone but I do follow you on FB and get your daily emails. The cupcakes look divine! Love cookie dough. I want that book, haven’t gotten it yet. Favorite cookbook–BFMHTY, maybe, or The Daily Cookie, by blogger, Anna from Cookie Madness, I look up the cookie of the day every day. A Gooseberry Patch Cookbook- In the Kitchen With Family and Friends. I will go find you on Pinterest right now! This is going to sound weird but Nanny Ogg’s Cookbook because it’s based off of Terry Pratchett’s Discworld and that’s pretty much my favorite everything. Also I follow you on pintrist yay! My favorite is the one I made with all the clippings I’ve accumulated over the years. Recently I’ve been using Joy the Baker’s Cookbook, but my all time favorite is probably America’s Test Kitchen Family Favorite’s. I reach for the Barefoot Contessa cook book. 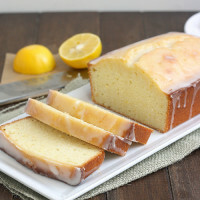 I love the simple but delicious recipes! i love nigella lawsons’ cookbooks. I am totally in love with Pam Anderson’s How to Cook without a Book – Meatless Meals. It’s so handy, and I’ve learned so much from it. I just love cookbooks with pictures! This cookie dough book looks like a delicious addition to my kitchen! I follow your blog and FB and highly recommend you to others! Oh boy it’s definitely hard to choose but my favorite cookbook has to be “cooking light comfort food” I bought it last year and always find myself coming back to it! I started following you on pinterest! I love Bridget’s Decorating Cookies Cookbook, so beautiful!! I follow you on Pinterest!! Well…I don’t have many cookbooks in the first place(I’m much more a blog, internet search, or magazine person, or library check out), and most of my belongings are in storage, so at the moment my favorite “cookbook” is “Schokolade,” a magazine in actuality. But I want to make everything from it, and have made quite a few things already, and everything is good! Okay can I just say, breakfast for any meal is my favorite. But my best cookbook is Betty Crocker one, I have the old one my mother gave me, that is so old the binding is losing it’s glue, and the pages have stains and are brown from aging, I love it! I actually reach for our family cookbook more than anything else! It has so many wonderful recipes in it that have been handed down through the generations. I follow you on pinterest, all ready. I have a Taste of Home cookbook that I’m constantly flipping through. Like you said, the recipes are just reliable – I know they’ll be good. By the way, your cupcakes are beautiful and look so good!! 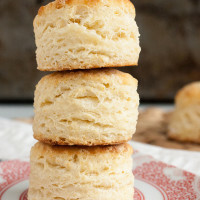 My favorite cookbook at the moment is the first ‘Our Best Bites’ cookbook, everything I have made from it has been amazing! I like The American Woman’s Cookbook, but I also read a bunch of food magazines and take recipes from those. I have been using The Silver Palate cookbook a lot these days. Every girl needs a Cookie Dough cookbook, right? Those cupcakes look fantastic…the frosting is piled high just like it should be! A favorite cookbook is hard to pick. I’m a fan of Ina’s Back to the Basics and her latest, Foolproof. I have reached for a cookbook that was made by the mothers of the Montessori school I went to when I was a child. It is called Beyond Peanut Butter and Jelly. But since it was so local the other one i reach of is the Susan Branch Christmas from the HEart of the Home. For me, it’s the joy of cooking. It has every recipe and method I’ll ever need! I must confess that when my library went over 100, I stopped buying cookbooks. I love them & read them like novels, but I’ve run out of room. My favorite is Martha Stewart’s Entertaining which I used all the time when I was catering. If I win these fun books, I’ll read them and then regift them after saving a few recipes. My favorite cookbook is my grandmother’s betty Crocker cookbook with handwritten notes about recipes she made most. My cookbooks are pretty much taking over my home in a serious way…but I NEED them!! They are non-negotiable. My favorites right now are the Baked cookbooks…I couldn’t choose between them though! 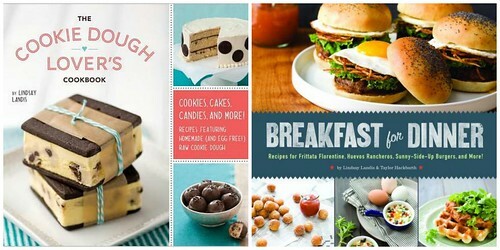 I do love the Cookie DOugh Lover’s cookbook…haven’t made those cupcakes yet but they are on my to-do list! My favorite cookbook is a collection from women my mom used to work with. They were great cooks! I love The Best Recipe, by the Cooks Illustrated folk. Everything comes out perfect! These are gorgeous! I know I say it all the time but you are so talented! I need to take classes from you! My favorite cookbook is probably Dorie’s Baking From My Home to Yours. I think I’ve made everything in it at least once. I love the How to cook everything cookbook. All the basics from a hard-boiled egg to eggplant and beyond! I don’t know if I can pick a single favorite. I have several, depending on the category. For general baking, it’s still BFMHTY. For bread, it’s PR’s Artisan Breads Every Day. For science, I turn to Cook’s Illustrated–I’m enjoying the new tome even though it doesn’t have a ton of pictures. So many books to love; I really need to bake from all of them more! I Absolutely Love Bon Appetit Fast Fresh And Easy. It’s Gourmet Without The Extra Time. My favorite cookbook is Kitchen by Nigella Lawson. I’ll read just about anything by her, and her recipes are as beautiful as her words. And she’s pretty hot herself. And I love following you on Pinterest. My favorite cookbook is one that my mother had gotten for me years ago. It’s called Fairview Haven which is from a local church that the ladies compiled a bunch of recipes for. I have to say my favorite is Martha Stewart’s Cookie Cookbook…I love her cookie recipes. I love my best of Cooking Light cookbook–always tons of recipes and inspiration there! 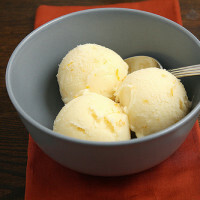 I love the book: The Perfect Scoop by David Lebovitz. Even in the middle of winter, you can still find me making ice cream! I have so many cookbooks it is pitiful. I LOVE reading them. I too like pictures with the recipes. I have gotten more recipes from food blogs lately than from the coo books. I guess the one I do go to more is the one I have hand written recipes over the years and made myself. How can I leave my email address without everyone being able to see it??? I honestly mostly rely on posts from my favorite bloggers for new things to make-something about the anticipation of what they will post next, gorgeous photos,and funny/interesting anecdotes can sometimes not be replicated by cookbooks. On the other hand, it is really nice to be able to look at cookbooks on the go and have a solid book with you in the kitchen. My fav cookbook at the moment is probably Cook’s Illustrated, I love the explanations of diff ingredients. I also subscribed to you on Pinterest! I hope this is not a duplicate…been trying to post all night with no success. I follow you on Pinterest…thanks for the inspiration in the kitchen! Maida Heatter Book of Great American Desserts, I have had it for years and just love it still. I love my Pioneer Woman cookbook! Hi Tracy! I usually reach for any of my Gooseberry Patch cookbooks. I have used them for years and they have never let me down on deliciousness yet. America’s Test Kitchen the Best Light Recipe. I make the banana bread every month, it’s so good! I won’t be able to enter the competition as I live in Australia but I wanted to leave a comment anyway! My most turned to cookbook is ‘free range in the city’ by Kiwi Annabel Langbein. Everything in any of her books is light and fresh using seasonal ingredients. I have over 500 cookbooks, but I pull out one of my Taste of Home Annual Editions the most. Good down home cooking, lots of pictures, and great tasting food that never seems to fail! I also peruse the ‘net and pinterest daily! Since I’ve found cooking blogs a couple of years ago, I hardly ever use my cookbooks. I love that you can find a recipe and then see what people think about it. I don’ thave a favorite cookbook but I find myself always reaching for my Taste of Home magazines. I have a pretty big collection of cookbooks so it would be hard to say which one is my “favorite”.I also follow many blogs that have recipes and yes,I do find myself trying a lot of what I find :). I am a huge fan of these cupcakes, thanks for making them! My favorite cookbook is the Williams-Sonoma Baking Book. It sits on top of my cookbook book shelf, ready for perusal and inspiration. The pictures are beautiful, and I find the recipes easy to follow. I follow you on pinterest too! My favourite recipe book is Nigella Express. It was the first recipe book that I received (Before that I’d been stealing my mum’s or looking on the internet!) When I first looked through the book, it all seemed to extravagent and strange to me. Now, a couple of years later, I’ve made most of the recipes from it. The recipe book reminds me of how much I’ve changed since I received it. I have a bookcase full of cookbooks, but when in doubt I always go to my old favorite, The Betty Crocker Cookbook. I like the Old Betty Crocker Cookbook that was my grandmother’s. Thanks for the chance to enter. I am a pinterest follower of yours. Thanks for the chance to enter. I just made a cookie dough cupcake as well! So addictive – I may have to give your version a try! Although it’s not in the line of cupcakes, I really love the Power Foods cookbook. I’ve found some tasty and healthy recipes in that book. I love my Martha Stewart cookbooks. The original Barefoot Contessa Cookbook was the first cookbook that I reached for on a regular basis; it’s really responsible for my love of cooking so I always have to give it props! I have 2 go-to cookbooks, my Better Homes and Gardens Cookbook, given to me as a Christmas present by my first boss. My second is a book my mom has had for as long as I could remember The Gold Medal Century Of Success Cookbook. It’s full of simple classic recipes. I remember all (10) of us kids were fighting over who would get the book when mom was gone. She ended up finding enough for us each to have a copy, all well used, but I think that makes them more special. I still remember having a so-so birthday in college, getting home to my little trailer and seeing my mom’s package there, everything was nice, then I got to the bottom of the box… I was on the phone with her and I was speechless!!!! I love that cookbook! My favorite cookbook is a seasonal thing: In the winter months, I love Cold-Weather Cooking by Sarah Leah Chase, but in summer it switches to The New York Times Country Weekend Cookbook. And I love your blog! I love Rachel Ray Cookbooks! The Magnolia Bakery cookbook! I follow you already! My all time favorite is Maida Heatter’s Great Book of Chocolate Desserts. I have had this book since I was in high school and it is fabulous even though it has no photos, the recipes are just wonderful! My favorite cookbook is a church fundraiser cookbook put out in the 70s. I have avoided the cookie dough craze, but think I may have to cave and try these cupcakes!The cookbook I reach for the most is “Joy of Cooking” since it covers all basic recipes and techniques. Anything else I pretty much get from the internet now so my poor cookbooks gather dust :(. But I do love to read a good cookbook – it’s a storybook for foodies! The cookbook I reach for most often is Mark Bittman’s “How to Cook Everything.” It hasn’t failed me yet. My favorite cookbook right now is Joy the Baker’s cookbook but omg I want the Cookie Dough Lover’s Cookbook!!!! My favorite cookbook is “The New Best recipe” by Cooks Illustrated. I just followed you on Pinterest. 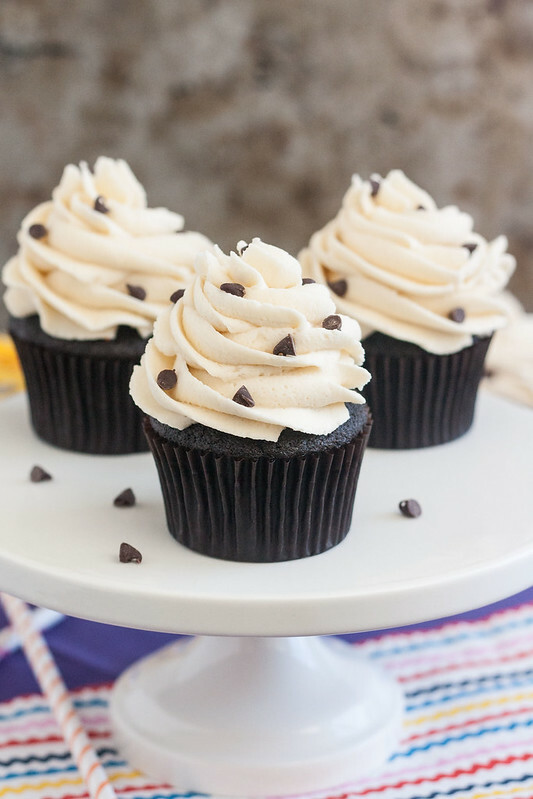 I am really interested in making these cupcakes but I see that you also have another recipe for cookie dough stuffed cupcakes on your site from Annie’s Eats. Which one would you suggest? Also, I was planning on using just regular cookie dough with eggs for the center- have you ever done that and does it work out any better or worse than the eggless version?? And I followed you on pinterest – Sallythekid! My favorite cookbook right now is a food blog called the Slender Kitchen. I love the Taste of Home Comfort Food Diet cookbooks. They all have great recipes. Hi Tracey! I love all of the Baked cookbooks by Matt Lewis and Renato Poliafito.Thanks for the giveaway and I love your blog. My favorite cookbook is Baking Illustrated. oh my heavens that book is a mess from the number of times I’ve used it! i love these cupcakes. yum! i like tosca reno’s eat clean diet cookbook. America’s Test Kitchen Family Cookbook is the one I turn to all of the time. Never let me down yet. My favorite cookbook is a cookbook of family recipes from my dad’s side of the family. 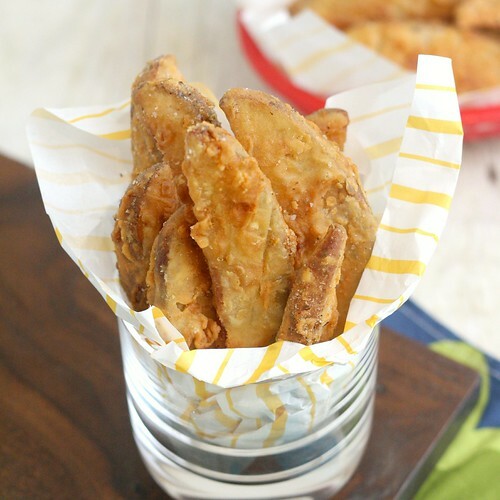 It was put together in the early nineties and each recipe brings back childhood memories. Yup – I own this cookbook too, love it – agree with you! These cupcakes look delicious! I go between food bloggers and several favorite cookbooks. Right now I find myself picking up the old Good Housekeeping Cookbook for recipes that I add my own tweeks to. My favorite cookbook that I always go back to and is practically falling apart on me is the Joy of Cooking book. The cookbook I love best is the King Arthur Flour Bakers Companion. I love ATK cookbooks! Great recipes and trustworthy! Oh I love the look of both of these cookbooks! My favorite cookbook is actually a recent purchase. It’s called Vintage Cakes by Julie Richardson and every cake I have baked is phenomenal! I already have The Cookie Dough Lovers Cookbook and I really do adore it! So many gorgeous pictures and recipes. These cupcakes look amazing! The one cookbook I reach for most often as a reference is still The Joy of Cooking. I have several editions, and I use them all. I follow you on Pinterest. I love the way you’ve got different boards for different things, rather than lumping it all into one general category. I’ve just started sorting out my boards, to make it easier to find what I’m looking for. The Country Cooking cookbook, it has everything. The cookbook I use the most is a Better Homes and Garden one my mom gave me for my wedding 2 years ago. My favorite cookbook is called Fast, Healthy Weeknight Meals. For each main item recipe, it also contains a side dish recipe, and all of them require less than 30 mins of hands-on time. I use this several times a week! I always turn to Taste of Home: Most Requested. It’s literally full of tabs of recipes for me to try with my in laws and my own family. I check the one’s I’ve already done and most of the ones I’ve done I’ve adored. It was originally my mother’s book, but it’s safe to say it will be coming with me whenever I move out. I’ve been wanting both of these cookbooks! Right now I couldn’t live without The Flavor Bible. It’s in my kitchen at all times. I love Peter Reinhart’s “Artisan Bread Everyday”. I use it at least twice every week. I am also following you on Pinterest. Cookbooks make me so happy too! I haven’t checked out the Cookie Dough Lover’s Cookbook yet, but I bought Breakfast for Dinner (and keep making the loco moco from it – so good). It’s really hard to choose a favorite cookbook since I have so many I like for different reasons. I will go dessert-island style and say Cook’s Illustrated Best New Recipes since it is so comprehensive. Oh goodness, I need these cupcakes in my life, they look divine. I love my Cook’s Illustrated Cookbook- a recipe has never let me down from that book. And these cupcakes look amaaazing. Love cookie dough. My favorite cookbook would have to be grandma. She always buys cookbooks and cooking mags and pulls them out after she tries them and hands them over to me. Some of the best recipes come from her collection handed down from her mother and grandmother. My favorite cookbook is Alton Brown’s Good Eats Volume 1. I LOVE it! These cupcakes look beyond amazing! 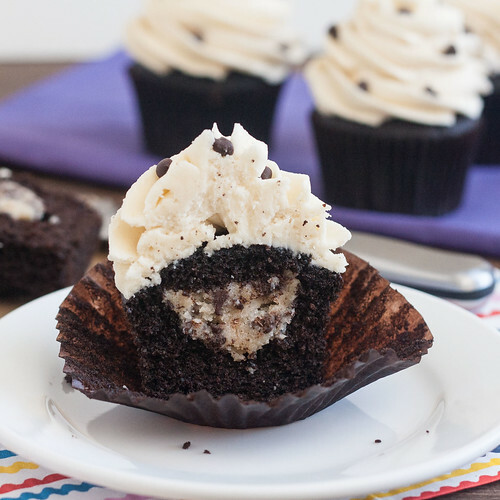 I love the cookie dough cupcake combo! My Cook’s Illustrated cookbook has never failed me! I love my Rachel Ray cookbooks. I work 45-50 hours a week and when I get home I want to cook dinner for my family, but don’t always have time for the prep work. She gives easy ideas without me feeling as though I am just feeding my family from a can or box. My very favorite cookbook is any version of the Better Homes and Gardens cookbooks. I have one from the 60s from my mom that I constantly find myself reaching for – love it! I’ve made the most from my Super Suppers cookbook….almost everything turns out great! I’m following your boards on Pinterest! I LOVE Lindsay’s cookbook, and these cupcakes are just perfect! I can’t stop look at the pictures – stunning job Tracey! Hi, I would have loved to enter the giveaway but don’t live in the US. Anyway, I will follow you on piterest and also have a question. In the cookie dough part of the recipe it says: 1/4 cup half-and-half . What does it mean. Have you missed the ingredient or is it come kind of baking term. Sorry, feel a bit silly for asking. @sewandthecity – Not a silly question at all. Half-and-half is a dairy product we have in the US. It’s a mixture of half whole milk and half heavy cream. You can substitute either of those for the half-and-half without any problems! I use Gooseberry Patch Cookbooks a lot – and the Fix-it-and-Forget it series too. My aunt gathered all of the family favorite recipes and put them into a book. I use the book more than any of my other cookbooks and get requests for many of the recipes in it! I follow you on Pinterst. I love all of Ina Garten’s cookbooks, they’re my go-to for just about anything! I now follow you on Pinterest. This post reminds me that I need to buy more cocoa powder. These cupcakes look glorious! 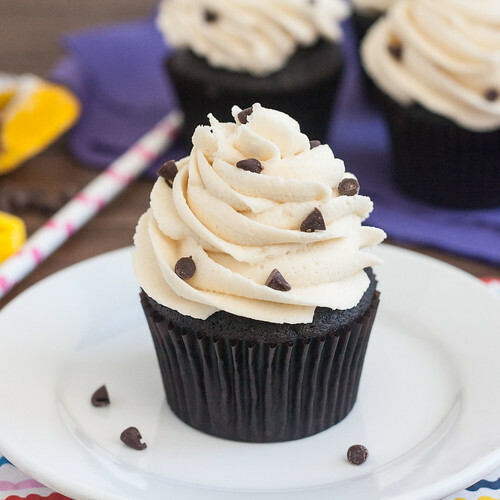 I’ve been wanting to make cookie dough cupcakes! I love cookie dough truffles, so I know I’ll be addicted to the cupcakes – these cupcakes look incredible! 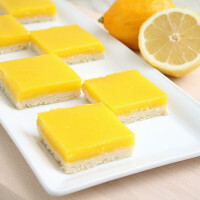 I made these and they were soooo delicious! !These sound absolutely lovely! 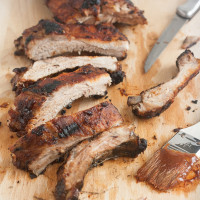 I'm Tracey, a sports-obsessed Rhode Island girl who makes approachable food from scratch. Please forward this error screen to traceysculinaryadventures.vaultpos.com's WebMaster. 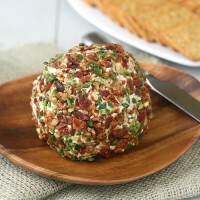 Visit Tracey's Culinary Adventures I Tracey Wilhelmsen's profile on Pinterest. All original text and photos © Tracey’s Culinary Adventure 2007–2014. Site design by Wooden Spoons Kitchen.